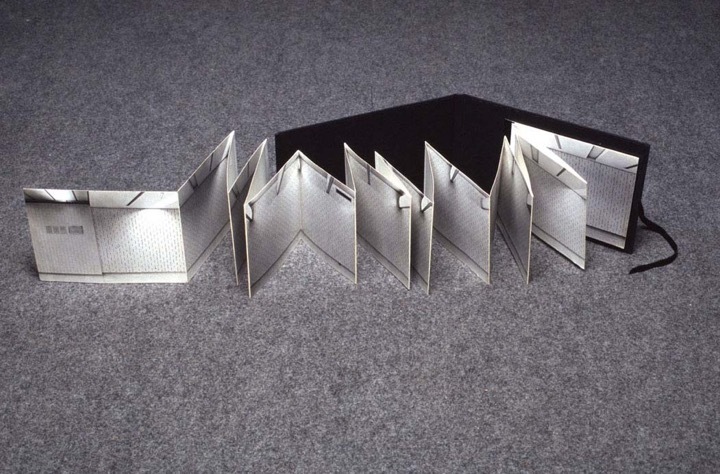 Namewall, Artist book (fanfold of project at the Los Angeles International Airport), 1974. 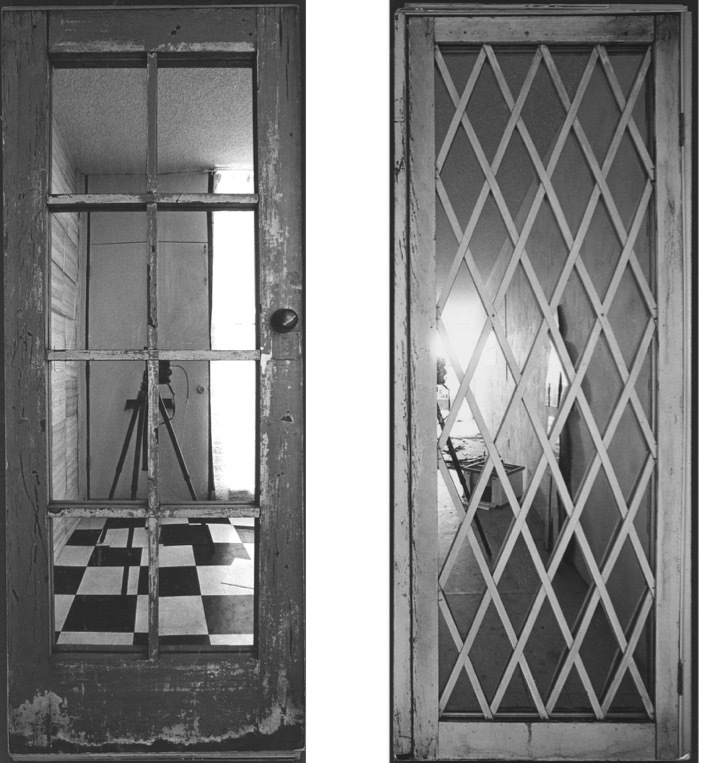 Messenger: Loft IV, Front and back Covers (of the studio to bring my studio to Europe for the initial art visit), 1979. 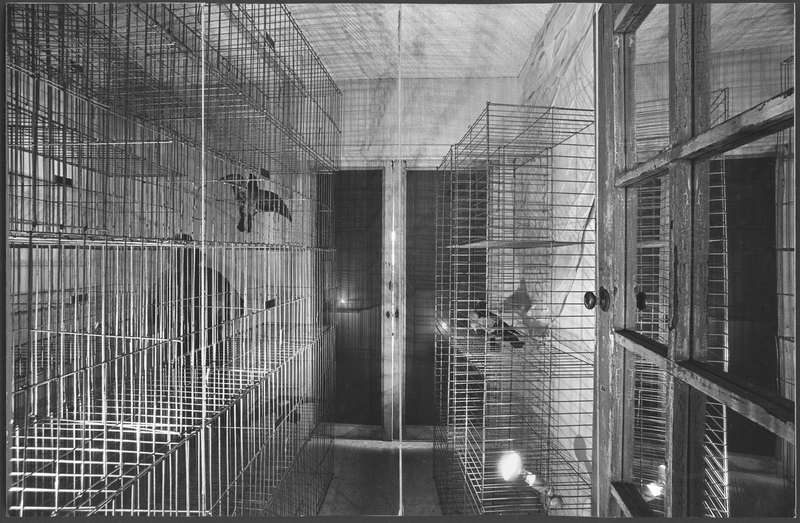 Messenger: Loft IV: The Cage, (of the studio to bring my studio to Europe for the initial art visit), 1979. 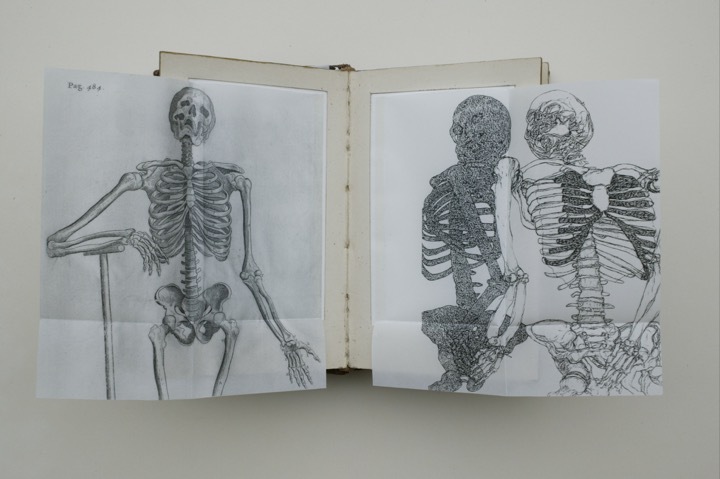 Joyce Cutler-Shaw and Bartholini: A Conversation Across Time, Institutiones Anatomicae, Dr. Caspar Bartholini, 1641, one of a kind, 2003. 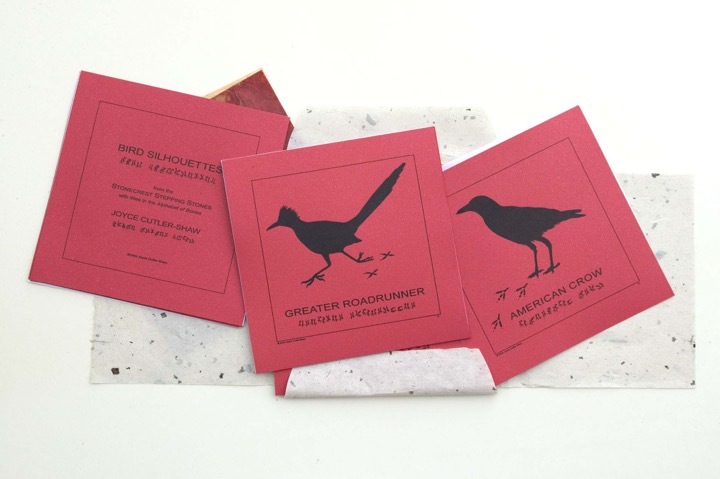 Bird Silhouettes (colon) Common Wild Birds of San Diego, (Handmade original prints), 2003. 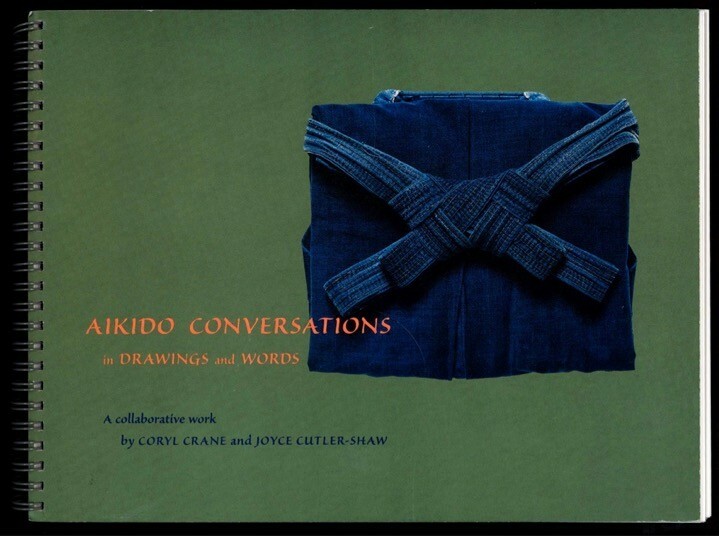 Aikido Conversations in Drawings and Words with Coryl Crane (Trade Book), spiral bound, 1999. 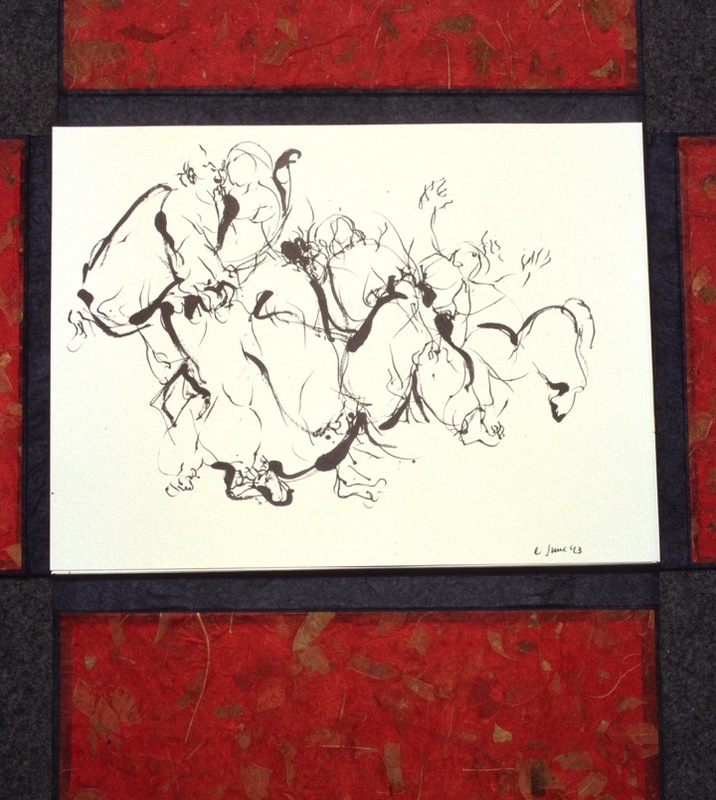 Aikido Conversations in Drawings and Words with Coryl Crane (Special Edition), spiral bound, 1999. 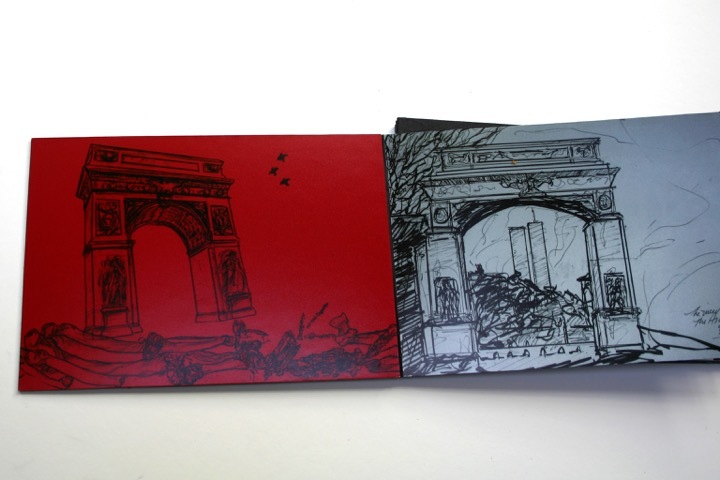 Greenwich Village Life, Limited Edition, fanfold artists book, 2007. 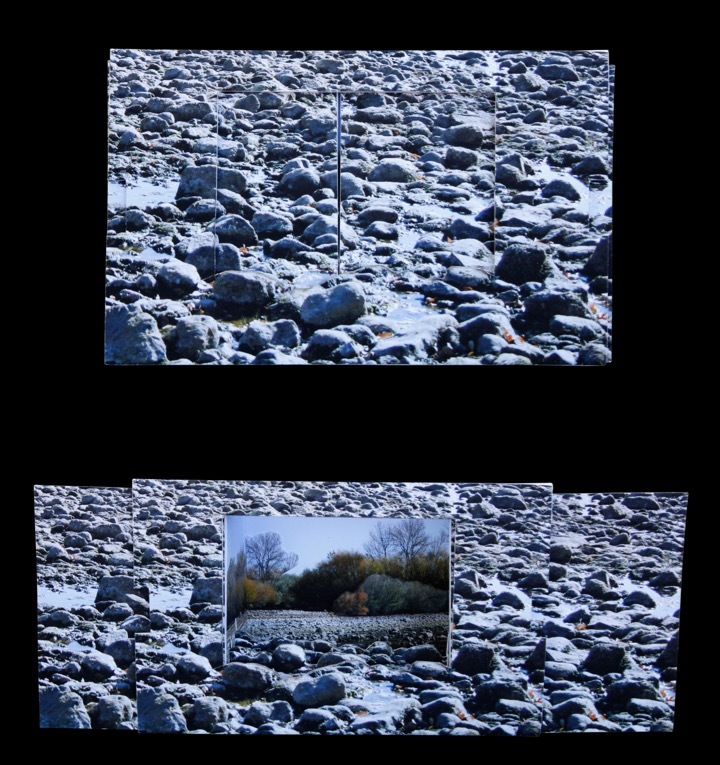 The Stones; When the River Runs Dry, artist slide book, (open and closed), Edition of 25, 2009. 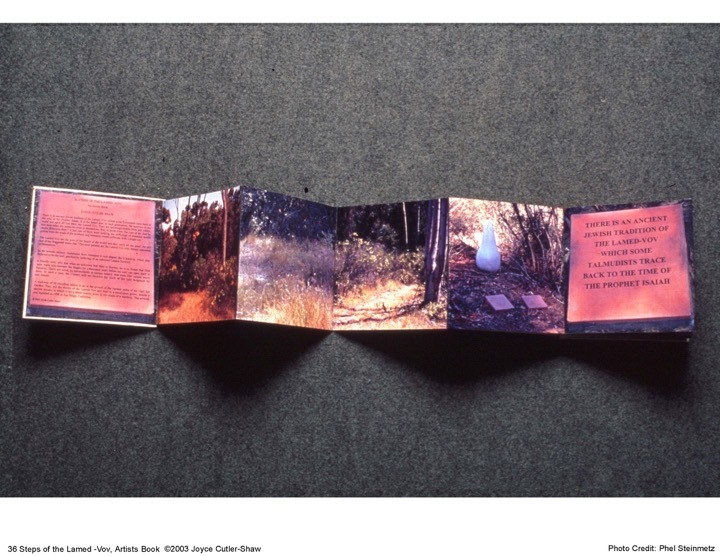 36 steps of the Lamed Vov, a documentary fanfold book of project in San Diego, CA, 2003. 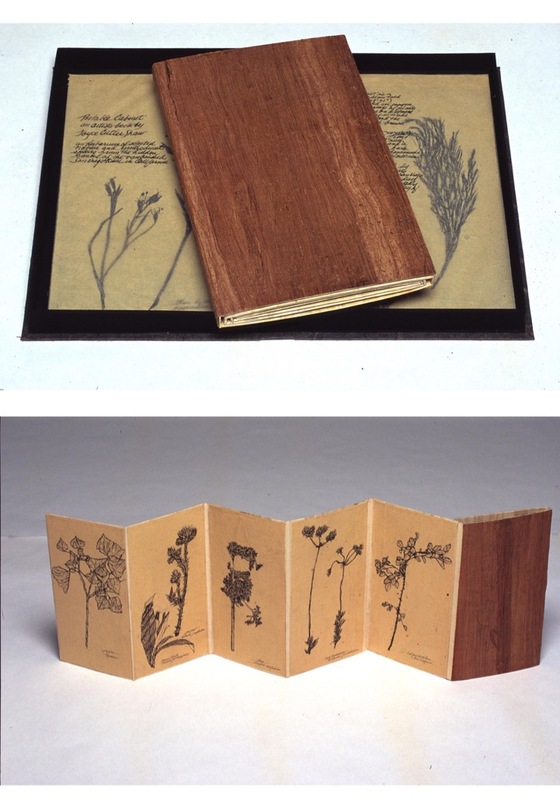 Artists books are integral to my works at every level, from proposal pieces and visual documents of installations and public works, to limited editions and unique book objects. My subjects are human identity and the natural world. My themes are evolution, survival and transformation: from reptile into bird, from mammal to human, and from human, perhaps, to humane. My works are represented in both museum and library special collections including New York’s Museum of Modern Art and The 42nd Street Library, the Albertina Museum in Austria, the Klingspore Museum in Germany, The Tylers Museum in the Netherlands, the Herbert Johnson Museum at Cornell University, the National Museum of Women in the Arts and the Smithsonian Institution Library in Washington, D.C., the Getty Museum Library in Los Angeles. the Wellcome Institute in London, the University of California Santa Barbara, Los Angeles and San Diego, and the Athenaeum Music and Art Library in La Jolla, California.